The Livery is an ecletic mix of people across the generations and drawn from a wide range of occupations and professions at varying stages of their careers. Our blacksmiths include the newly apprenticed along with the recently qualified, the highly experienced along with the retired. Engineers and surveyors, lawyers and accountants, college lecturers and financial consultants all figure in our diverse membership. Initial reasons for wishing to join the Livery vary and may be professional or social, philanthropic or other. Some Liverymen join to further an existing family connection with the Company (which often spans several generations); others have a direct involvement in the craft, are working blacksmiths or have an association with the City of London. 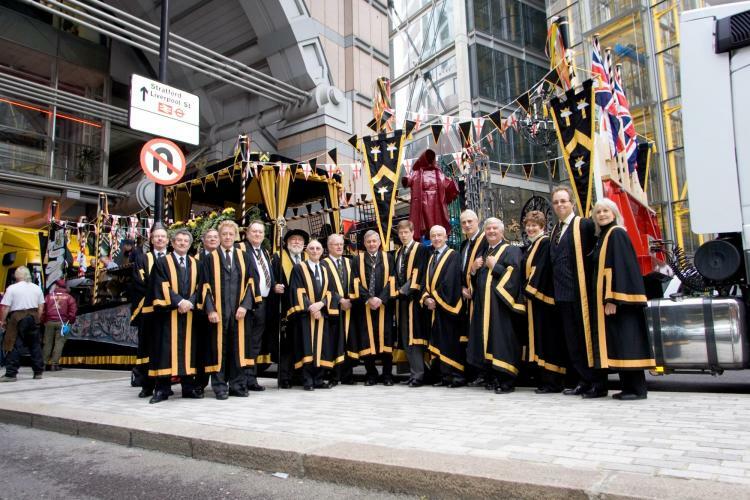 The common link is their genuine interest in preserving and supporting the craft and furthering their understanding of the special relationship between the Livery Companies and the City of London, its traditions and pageantry, its customs and practices and its many goals and functions. We are fortunate in having a Livery so diverse by nature for not only does it ensure a lively forum for debate on every aspect of the blacksmith's craft, it also brings a wide range of skills, experience and talent to the Company. A private area for members to view and download company information. A directory of Blacksmiths who have received Awards of Merit, have won Prizes or are Liverymen of the Company.